Chris Brinlee, Jr. is a Problem Solver. In 2014, however, Chris realized that the only problems that should be solved in a cube were Rubik’s, so he left his behind to seek something more. Chris's journey has led him to the furthest and most remote reaches of the globe: He's paddled fjords in Eastern Greenland in search of un-climbed alpine rock; summited 6,000m peaks in Nepal; sailed to Antarctica with Mike Horn; ridden a motorcycle across Vietnam; and crossed New Zealand's Southern Alps using skis and a packraft. Each of those projects was realized as the result of problem solving: from the development of big ideas; to their execution through meticulous attention to complex details in a logistical sense; to the creation and launch of supporting content campaigns designed to connect and engage with a global audience through the use of influencer marketing, PR, and editorial outlets. Chris’s exhaustive range of capabilities: creative direction; producing; photography; writing; video direction and editing; interactive and traditional design; and influencer marketing—as well as the insights and inspiration that he has drawn from his illustrious adventure career—make him a true force to be reckoned with. No project is out of his depth. Additionally, as an editorial contributor for publications such as Outside, The Red Bulletin, LUXURY, Wilderness, Huckberry, and Gizmodo—Chris’s words, photos, and videos have inspired millions; his strong presence on social media provide periodic doses of inspiration. In September 2018, Chris and team set out on a multi-sport expedition to cross New Zealand's rugged Southern Alps. Technical mountaineering enabled exploration of the vertical realm; packrafts enabled the discovery of expanded lateral perspectives; and ski touring connected the two together creating perspectives that were as wide as they were tall—revealing the relationship between mountains, glaciers, and rivers; and how those realms connect us all. 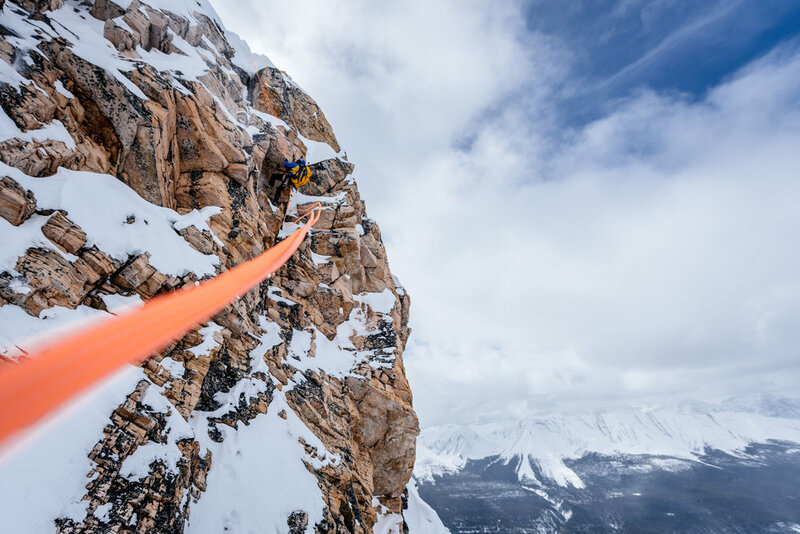 In March 2017, Chris and his partner Christian Lanley set out on a campaign to #CelebrateDiscomfort through a series of epic adventures in Alberta. How far did they go? Find out. In November 2016, Chris flew approximately 11,000 miles over the course of four days from an assignment in the Aleutian Islands, Alaska to Cape Town, South Africa, where he rendezvoused with Mike Horn to embark on what would be a seven week sailing journey to the world's southernmost continent. Upon arriving in Chamonix, one will immediately come to realize why that particular village is the birthplace of Alpinism. Chamonix is a place where language is not defined vocalized communication, but rather by a mutual understanding of what each person seeks: a connection with the mountains. It would make sense then, that an epic campaign through the European Alps should begin there; and that partnerships be forged there. There are few wild place left in the world. Eastern Greenland is one of them. In August 2017, Chris and his friend Andrew Yasso set out in search of adventure - paddling 100 miles through a remote fjord system in search of climbable rock and first ascents. Photography and adventure are inherently linked—the essence of each is discovering new perspectives. Both of the world, and within. Noun. Oftentimes used synonymously with "mountaineering," but implies climbing routes with minimal equipment in high and often snow and ice-covered mountains such as the Alps, where technical difficulties frequently exceed environmental and physical challenges. Noun. A: An undertaking usually involving danger and unknown risks. B: An exciting or remarkable experience. Noun. The act of traveling; journeying, especially to distant places. Verb. To have an impact or effect on; influence; alter. Chris’s personal stories from the globe, useful how-to guides, and more. Everything that you need to know to learn how to become a ski mountaineer. They say that if you don't like the weather in Iceland, wait five minutes and it'll change. Multiply that by mountains, glaciers and volcanoes and you've got a recipe for adventure. Or a close encounter of the near death kind. Sometimes, people tell stories about Chris, too. The Escape: Chris Brinlee, Jr. Pack Like a Pro: Adventure Photographer Chris Brinlee, Jr. Interested in partnering on a project? Want to meet up abroad? Have questions about adventure travel? Chris would love to hear from you. Occasional update full of inspirational stories of adventure travel. I promise not to flood your inbox with junk.